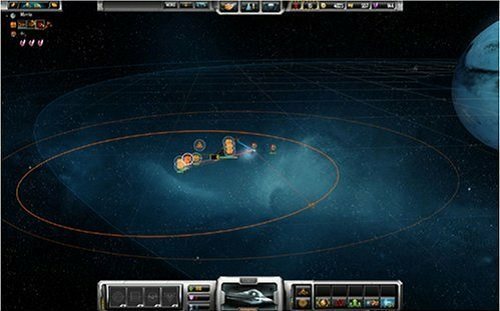 Sins of a Solar Empire is a sci-fi strategy game with 4X elements that will have you conquering a large universe with military force, economic power or diplomatic negotiations. As the game mostly involves real time strategy it presents an interesting mix between RTS and 4X gameplay. The game is set in the distant future and has you at the very head of a space exploring race that are looking to expand their empire. Players can use one of three races which each have their own backgrounds and special abilities. The races include the industrial focused TEC, the alien Vasari or the Advent who possess various psychic powers. The game doesn’t feature a campaign mode with the core gameplay revolving around a skirmish type mode where players set the parameters and battle for control over the galaxy. Each of these universes are huge and are completely 3D experiences. As you explore each star system you’ll find planets, asteroids, various stars, anomalies and of course enemies. Some planets will be more prone to supporting life than others while some offer other bonuses such as increased resource production. The anomalies in the game are what really bring the game world to life though with asteroid fields, gas giants and even space junk scattered between planets. The game uses three different resources (credits, metal and crystal) which are used to perform various tasks within the game world. Credits are rewarded for missions, bounties and taxing planets that fall under your control. While metal and crystal must both be mined from asteroids and is used for ship building and research. Regardless of how you plan to dominate the galaxy you’ll need ships to do it and Sins of a Solar Empire has plenty of depth in this department with five main category of ships with plenty of customisation with each class. 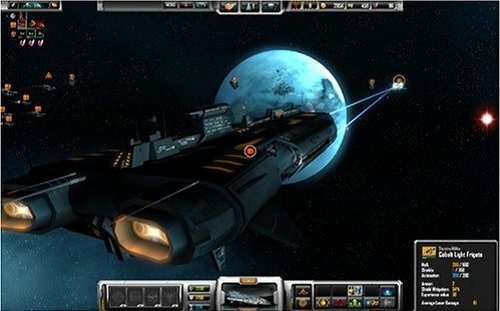 Sins of a Solar Empire has plenty of gameplay and will have you playing for hours in the impressive 3D world. The space battles in particular really seal the deal for this sci-fi adventure. A sci-fi 4X strategy game with RTS elements. Three different races to explore the universe with.